Coffee is one of the most consumed beverages around the world. People love drinking it with milk, chocolate, or just plain black goodness. There is nothing better than drinking a cup of Joe to perk you up in the morning or energize you during the afternoon. However, as soon as you’re done preparing your coffee, you’re left with coffee grounds. Most people usually discard the grounds after brewing. But did you know that you can benefit from using them in your garden? Coffee grounds have a lot of practical uses around the garden. They can even spruce up the beauty of your growing plants. So instead of throwing them out, make sure to save those used coffee grounds for your plants. You never need to throw away your used coffee grounds again. Here are 5 creative uses for your used coffee grounds in the garden. Most soil, even if you prepare your own potting mix, doesn’t have the essential nutrients needed for the plants to achieve optimal growth. As your vegetables and fruits grow, the plants start to absorb all the nutrients from the soil and as you continue to water and the rain falls it will also begin to wash the nutrients away. This will result in depleted soil and leave your plants looking for another nutrient source. To make sure that the plants have the nutrients they need in order to survive, your garden needs to be fertilized. That’s where used coffee grounds can help. Coffee grounds have several key minerals that plants need to grow. They contain copper, potassium, nitrogen, magnesium, phosphorus, plus many micronutrients. These coffee grounds also absorb the heavy metals that contaminate the soil. Adding coffee grounds to flowers like hydrangeas can help them bloom a deeper blue. Plus, they help attract worms, which break down the nutrients in the soil. To use coffee grounds in improving the color of the plants and flowers, and to use as a mulch, sprinkle them directly onto the ground around the plants. When using used coffee grounds as fertilizer, add them directly into the soil. If you don’t need fertilizer now, you can start composting the coffee grounds and use them later. It’s a natural process which turns organic items like food scraps, vegetables, and fruits into compost. Adding the compost to the garden can aid the soil in getting more nutrients, improving the growth and health of the plants. Using coffee grounds as compost material decreases the greenhouse gas emissions of your compost. To use it, simply place the used coffee grounds in your compost bin. Then let the compost bin do all the work. Used coffee grounds contain caffeine, making them highly toxic to pests and insects. They are effective in repelling insects like beetles, mosquitoes, and fruit flies that limit the growth of the plants. To start using coffee grounds as insect and pest repellant, place them in bowls or containers. Set them out in the garden. 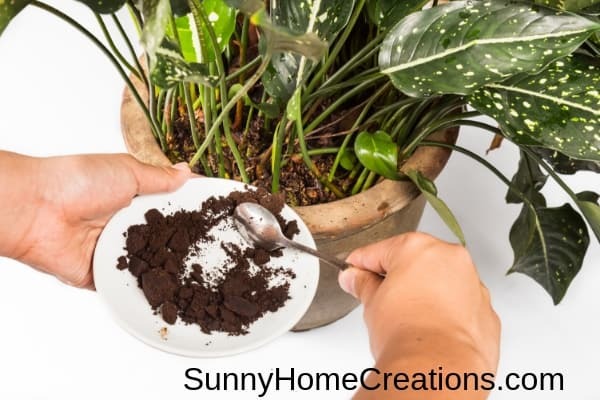 You can also sprinkle the coffee grounds around your plants. This will create a barrier that prevents insects like beetles, snails, and slugs from coming near your plants. Mushrooms are difficult to grow as they need specific conditions. They don’t grow in ordinary garden soil and require a substrate. Used coffee grounds are packed with nutrients, making them a great substrate that allows mushrooms to grow. 1. Collect 10 cups of coffee grounds. Moisten them with water. 2. Add about 2 cups sawdust and mushroom spore mixture. Mix well. 3. Place the mixture in a freezer bag, grow bag or bucket. 4. Cut four to five air holes into the sides of the container that is exposed to the ground. 5. Spray the ground with water at least once a day or as needed. budding, move the container to a spot with fresh air. Mulching is beneficial for plants. It prevents the pests from eating the stems and leaves. To create a mulch out of coffee grounds, rake them onto the top layer of the soil. Make sure that when you water the plants, you are spraying water onto the mulch, too, to allow it to release more nutrients into the soil. 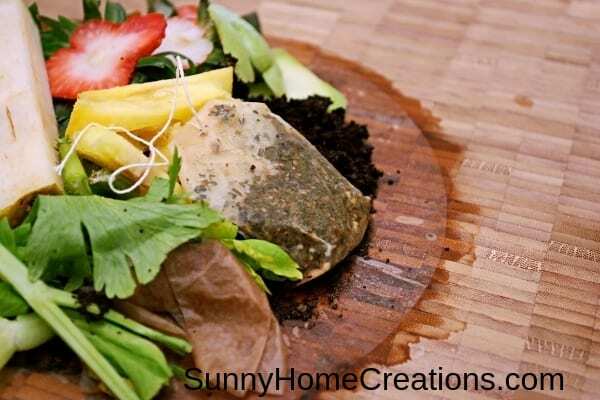 Instead of discarding coffee grounds after brewing coffee, there are great ways to reuse them. Coffee grounds are packed with nutrients and minerals that nourish plants, repel insects and pests, and act as another organic material for fertilizers. The next time you prepare your morning coffee, consider using the coffee grounds again for the benefit of your plants.